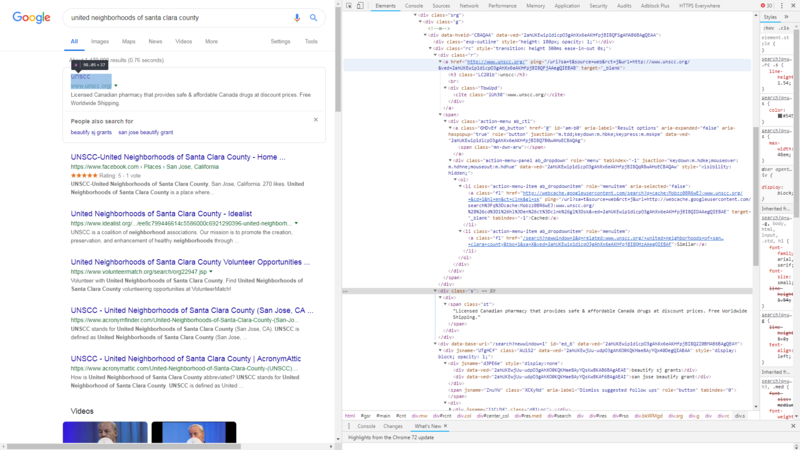 I was trying to track down the website of a local nonprofit, so I typed its name into Google. The first result showed the organization's actual domain name, but the description was spam, and clicking on it brought me to a spammy website. My first thought was that the domain had expired and been poached, or some sort of compromise of the organization's web server. But then I found that just typing http://www.unscc.org/ into my browser brings me to the organization's actual website. Browse other questions tagged google-search or ask your own question. Why does Google give me different result when I prefix “how to”? Why does this misspelled Google search return more hits than a correctly spelled one?